You are here: Home / Cyclodextrin / Dear Johnson & Johnson, do kids really matter to you? 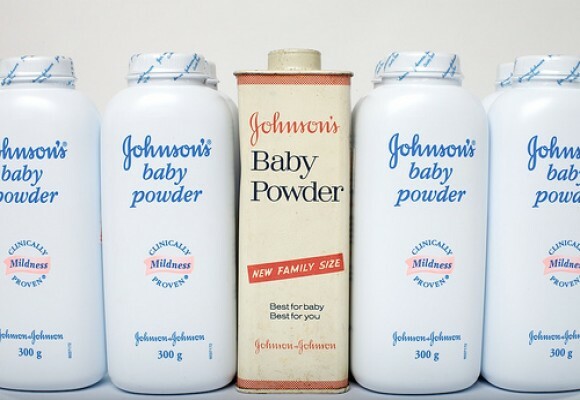 Dear Johnson & Johnson, do kids really matter to you? After weeks of going back and forth with the U.S. Food and Drug Administration (FDA) on our request to give Addi and Cassi hydroxypropyl-ß-cyclodextrin (HP-ß-CD) or "CYCLO" infusions, we finally have a Type A meeting scheduled on February 26, 2009, from Noon-1pm to discuss the clinical hold the FDA put on our "compassionate use" treatment request. The FDA has requested that we change our original protocol for cyclodextrin infusions and take the dosage down to 1/50th of the amount we believe will be therapeutic. They have asked us to provide more "safety data" on CYCLO and we now need to try and convince the FDA in person to allow us to treat our twins with higher does of cyclodextin with or without the safety data. We know that the sugar compound cyclodextrin has been infused into the bloodstream of children and adults and there is safety data available. There is a drug called Intravenous Intraconazole that is given to children to treat fungal infections and it contains cyclodextrin which helps solubalize the drug and deliver it more effectively in the body. This is the same cyclodextrin we propose to infuse into Addi and Cassi. The pharmaceutical company Janssen makes this drug and has drug master files (DMFs) which contain safety data on CYCLOs effect in animals and humans taking intraconazole. Intravenous intraconazole could not have been approved by the FDA without some amount of safety data. A few months ago as we were gearing up to write our cyclodextrin protocol for the FDA, I contacted Janssen to get assistance in the hopes of accessing their DMFs on cyclodextrin. I managed to reach the drug department and spoke to the woman in charge who obviously was on a power trip. I explain that children like Addi and Cassi are dying and have no treatments and that a simple sugar compound called cyclodextrin could possibly save their lives. She refused to help me and essentially said I was out of luck. I tried to explain that cyclodextrin is used only as a delivery agent and that I was not requesting patentable information or trade secrets on the drug. She was unsympathetic. Sarcastically, I asked her if a letter from our doctors or even the President would help. She laughed at me and said "No." After I slammed down the phone, I started to cry. How can this be happening? All I need is safety data on a sugar compound that is already being eaten by people in fat free butter and being used to enhance the delivery of some drugs on the market. How hard can this be? Your family’s health and well-being is our passion. That’s why our companies offer the world’s broadest range of health care products. Whether you have a skin blemish or sniffles or a serious medical condition, you and the health professionals you trust can turn to our companies’ products for comfort and care. As I was giving Addi and Cassi a bath and washing their hair tonight (with Johnson & Johnson shampoo! ), I decided to finish the letter I started to Johnson & Johnson’s management team and board of directors. Will Johnson & Johnson also be unwilling to provide human safety data to us on a non toxic sugar compound? All we need from them is to provide our doctors and the FDA with more information from their files that could help save the lives of Addi and Cassi and possibly 500 children around the world afflicted with Niemann Pick Type C disease. I guess the world will soon find how much Johnson & Johnson cares about kids who are dying. Let’s hope the values they claim are so important to their company really hold true. I am a recent subscriber to your blog, I found it through Hannah’s website. Man I could not imagine what a pia you are going through. Sending you warm thoughts that folks will wake up and see the importance of this info and make it available to you! Your girls are absolutely gorgeous! Helping spread the word. Arrived here from Miss Hannah’s site. I’ll post this on my site as well. Big companies have big mouths (and wallets), keep at them. Chris, I am so pissed off for you!! This is just friggin ridiculous. Is there anything I can do to help, someone to complain to, etc.? I posted this on my blog to help get the word out. I’m here if you want to talk!